Let’s revisit, and use this oldie but a goodie to understand Syria. Sorry for the lateness, but my real life stuff is cramping my geopolitical style. The biggest reason Syria has always been swimming against the tide in regards to becoming a proper nation-state is because it lacks a nation. “Syrian” is more of a citizenship rather than a national identity, and that’s more or less been the case since the independent state of Syria came into being in 1947. As a province of an empire, Syria worked quite well. The territory’s internal divisions could always be quelled by an outside imperial army that rode in, cracked skulls, burned cities, and established peace. But setting up a nation-state in a place as diverse as Syria was always bound to be a bumpy road. Take a good look at the map below. 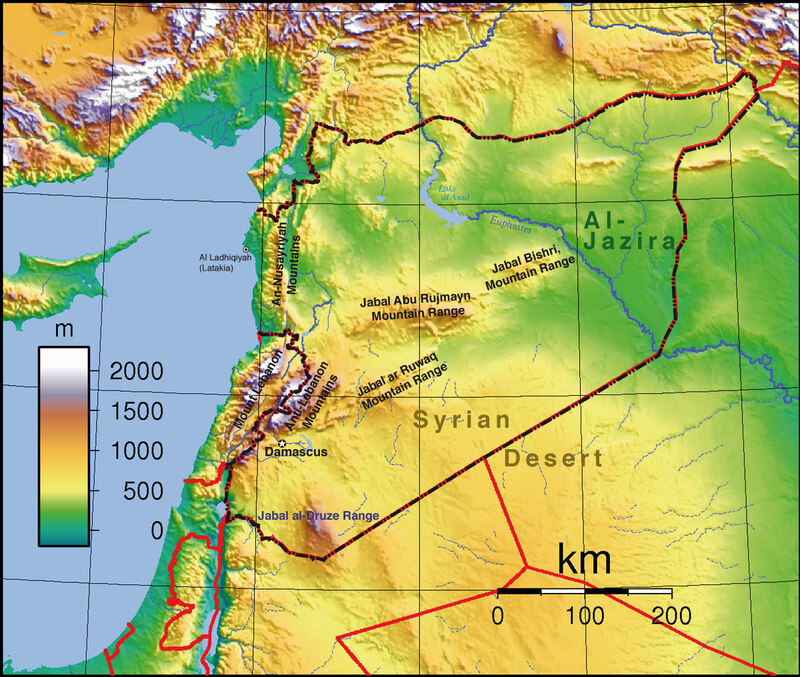 Syria’s geographic situation is one of an overexposed territory with long frontiers and few natural barriers. Attack from the north, south, or west is relatively easy, and intervention by a naval power from the Mediterranean is almost as simple. Its main river systems don’t unite the country, but actually divide it. The Euphrates River flows from Turkey into Iraq, creating trade links with those countries and undermining trade routes with the territory’s biggest cities, Aleppo and Damascus. This has meant, historically, that Syria is a piece of an empire rather than an empire unto itself. Unlike Turkey, Iran, and Egypt, Syria lacks the natural frontiers to secure itself. So it’s ended up as a province for almost its entire history. Each imperial conqueror left a bit of their culture behind. Syrian Christians are holdovers from the Roman era; Muslims from the time of Rightly-Guided Caliphs; and the sects within Islam from the long Turkish era. The Ottomans didn’t have the power or the interest to turn all of Syria’s people into good Sunni Turks, so diversity flourished. As long as all the various sects recognized the Sultan, all was well with the world. Despite Syria’s common Arabic language, Syrians themselves were encouraged to view things locally under the Ottoman system. As religious diversity was at least unofficially tolerated, it ended up creating sects found almost nowhere else, most notably the Alawite sect of Shi’a Islam. Whereas attempts to create new Islamic sects failed in more centralized, geographically secure places like Egypt, in Syria power was spread out more, and imperial governments couldn’t impose an absolutist vision of religion on the people. When the Ottoman Empire’s end came, it was because another imperial power, Great Britain, suddenly swept in and imposed a settlement. The Arabs who rode alongside the British were not from Syria itself, but were Bedouin from elsewhere who were ambitious to build new kingdoms out of the carcass of the Ottoman Empire. Not for the first or the last time, Syria became a pawn in the day’s geopolitical chess game. The French sought influence in the Middle East to mitigate British and Russian power, and used their cultural toehold in Lebanon to grab up Syria. At first, the French were pretty reasonable, dividing up the mandate into several different states based on sect. Such a system might have kept the peace, but the French realized early on that to divide up an already weak state invited intervention and invasion from other great powers. Unlike earlier conquests, however, the French didn’t intend to stay. The 20th century spelled the doom of traditional empires. With population densities growing and the costs of policing a colony skyrocketing, formerly imperial powers were rapidly losing interest in grabbing up territory, but were rather keen on influencing and directing friendly governments. This was basically neo-imperialism, and it was a helluva lot cheaper than the old system. So the French attempted to cobble together a nation-state, which was a political system they could influence and indirectly control. Their first draft of the Syrian map was ditched, though they split Lebanon off, creating a nation-state that to this day still barely functions. To be fair to the French, there wasn’t much they could have done short of mass colonization. Syrians were not a nation of people; the political results of that would come out in spades in the 1950s and 60s. A free Syria in 1850 might have held together as a kingdom, with a benign king ruling over a dizzying array of vibrant cultures. But a combination of a skyrocketing population and technological change required a far more efficient form of government. There was nothing for it; a nation-state it had to be. Alas, Syria had no nation but a variety of cultures that didn’t trust one another. Worse, the infusion of the 20th century’s many ideologies, from the big fight between communism and capitalism to the small fights between pan-Arabism and pan-Islamism, made everything more complicated. No social contract could be written by Syria’s elite because they didn’t really govern a united nation. Spoils were handed out to loyalists after a coup; they stole what they could, and then in turn got overthrown, to be replaced by a new sect or political party’s cronies. In 1958, Syria was on the verge of civil war between Communists and secularists, and so the government decided it had had enough of being independent and opted to dissolve itself into Gamal Abdel Nasser’s Egypt. With Egypt’s superior geopolitical power, Syria’s elites assumed their own chaos could finally be set aside, with Egypt playing the part the Ottomans once did between varying Syrian factions. Alas, the Egyptians went a step further, replacing Syrian elites with Egyptian ones. Rather than playing referee, Egypt was acting the colonizer. 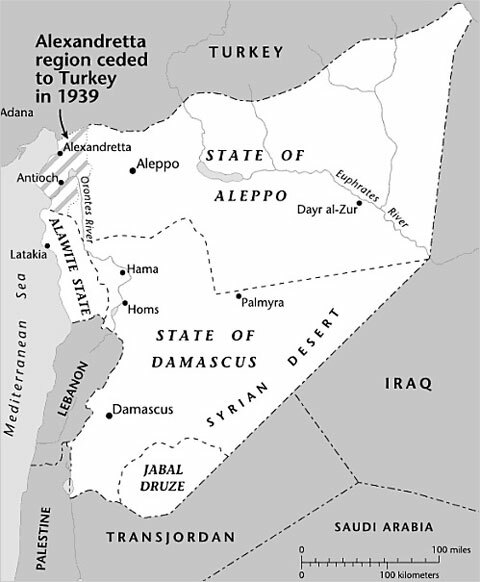 That antagonized just about every Syrian faction there was, and in 1961, barely three years after the UAR was formed, Syria’s army organized yet another coup and threw the Egyptians out. Egypt didn’t put up a fight; running Syria had been a headache. So much for Arab unity. Following the ejection of Egypt, Syria’s elites started to realize they rather liked having their own country. 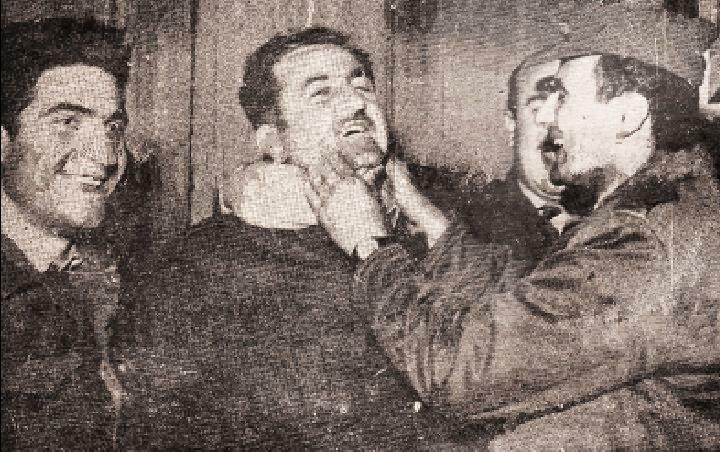 Their tolerance for coups lessened; in 1963, the Ba’athists, a pan-Arab socialist party, took power. Bashar al-Assad continues to lead them. It was obvious Syria was not a politically mature enough place to run itself. So the Ba’athists, eventually ended up by Hafez al-Assad, Bashar al-Assad’s father, copied the Soviet Union and turned Syria into a police state. Politics was shut down, and every key position in government was filled by an Alawite or Ba’athist true believer. Unable to afford the education system needed to remake Syrians into a common people, and lacking the time to do it anyway, the Ba’athists were content to shoot their way through their many problems. And uneasy it was. The Muslim Brotherhood launched an uprising in the 1970s and 80s that culminated in the destruction of Hama in 1982. Well-supplied by the USSR, Assad could and did shoot his way through Syria’s differences. Like the Ottomans before him, he played referee between factions; when one group stepped out of line, they were shot. The Arab Spring of 2011 threw a massive curveball at Hafez al-Assad’s son, Bashar. For the second time in Syria’s history, many of Syria’s factions united around a single goal: the ousting of Bashar al-Assad. This spontaneous, meme-like revolution was something Assad’s contract couldn’t handle. So rather than trying to rewrite the contract, Assad retreated to his core supporters: the Alawites and other religious minorities, the secularists, and the Ba’athist party itself. Meanwhile, he was forced to abandon the rest of Syria. The Islamic State’s hold on eastern Syria and western Iraq reflects the ease of moving between those two regions. Their split has only made sense when enforced by strong governments in Damascus and Baghdad. Now those strong governments are gone and the border is erased. Meanwhile, Syrian regime forces are still based in their own natural strongholds, minus Damascus, which for symbolic purposes must be held at all costs. No one faction is well armed enough or numerous enough to achieve total victory. Much like the Balkan Wars, the steady fighting will continue until someone from the outside – more numerous and more powerful – decides to impose a settlement. But with Russia and the U.S. gridlocked, the UN ignored, and the Arab League utterly ineffective, not much can change in the near future. What do you think about the new Da’esh attack on Turkey in Suruç? I know it was actually an attack against the Kurds, but many nationalist hotheads (while not entirely sad the Kurds were killed) will see it as more than that and will want Erdoğan do do something about it. And recently the gov’ment reacted by picking up not just Da’esh supporters, but also PKK activists and also some Marxist terrorists. Perhaps the Sultan thinks he’ll be able to bamboozle everyone by tying this up whith every other issue imaginable but I really don’t get what he’s trying to do. For his internal politics purposes, he should calm down the nationalist sentiment while trying to get back on track with his talks with the Kurds. Instead, he’s alientating the Kurds pushing them into the arms of the HDP, or weven worse, the PKK and he’s creating nationalist sentiment and thus a whole bunch of people who might have supported him but now they’re in the arms of the nationalists, so more votes for the MHP. If they conduct elections again soon, the AKP will do even worse. In every other country such a thing will unite people around the flag but in Turkey it seems to leave people more divided then ever. And eventually the gov’ment will have to do something about it, and while the Turkish military hasn’t been war tested recently I have no doubt it will make short work of Da’esh. But then what? Turkey will probably go on to attack Al-Assad and push him out of Damascus, but I don’t think anyone is crazy enough to attempt to go after him in the Alawwite Mts. So after that the Turkish army will probably just retreat and Jabhat An-Nusra will take over the whole thing. Hello Al-Qaeda-stan. What a fucked up situation! It’s an interesting theory to see Turkish troops in Damascus; I’m not sure how direct Turkey wants its war in Syria to be. Turkey may find it a lot easier to prop up some proxy army with the United States, but since they’ve divided over the Kurds, with the U.S. seeing them as useful and pliable allies while the Turks see them as a direct threat, it seems there won’t be a solution coming anytime soon. Furthering weakening AKP would probably strengthen Turkey overall; they’ve been very good, as you pointed out, at dividing the country. That being said, Turks will only unite when they see a direct threat to the nation, which ISIS poses in only a more abstract form. The Kurds, on the other hand, have the potential power to grab chunks of Turkey itself; that won’t endear them to any Turk. Great article. I honestly admire your geopolitical insights. If you were interested, I am happy to grant you a WordPress contributor level via EMergingEquity.org platform to offer you exposure to our readers. Please feel free to let me know your thoughts. Thanks very much. I couldn’t find you on Twitter. Please email me at Ryan.t.bohl@gmail.com to discuss the details. Ok, I see now. This blog is an exercise in intellectual dishonesty. It seems to be documenting a narrative rather than a serious analysis of anything. In fact, a large part of your description of the cultural politics of Syria could be applied to the US. In other words, it has no observable merit as a rationale for the type of revolution that we have witnessed. The organic revolution narrative is a joke, but it does read as necessary narrative. is a lie. And its not even a contemporary lie that is widely believed. The pattern of revolutions in contentious parts of the world, and the players involved, are well understood when not completely blatant. For anyone who travels, Syria was known as the nicest place to visit in the ME with no discernible social strife. Especially nothing that would have ramped up to what we have recently witnessed. Syria is an obstacle to subduing Iran. Period. We are all forced to accept necessary lies, but that doesn’t make liars any more likeable. Silence during a forcibly accepted lie is often a much better option as it at least preserves the dignity of those to whom you would communicate. This rebuttal seems to rely heavily on the prevailing counter-narrative propagated by Damascus and, to another extent, Moscow – that Syria was a victim of an international conspiracy, as opposed to a complicated and poorly run country that produced legitimate grievances from large parts of its population. 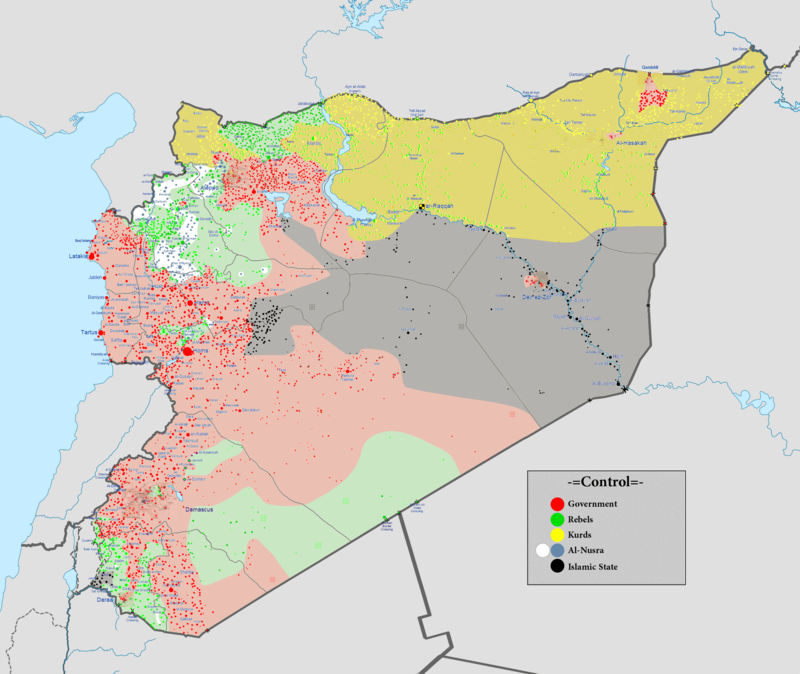 Syria, of course, was as tranquil as police states tend to be – they are quite literally nothing without their order – yet the Hama rising of 1982, and the litany of coups and counter coups of the pre-Assad era, as well as the many revolts and internal strife of the Ottoman era belie the notion that this was a unified nation of hapless people so readily manipulated into self destruction by foreigners.